BEL ESPRIT (AUS) (Bay 1999-Stud 2003). 8 wins-5 at 2, BTC Doomben Ten Thousand S., Gr.1. Leading Aust. Sire of Winners 2012-13. Sire of 756 rnrs, 513 wnrs, 21 SW, inc. Black Caviar (VRC Patinack Classic, Gr.1), Bel Sprinter, Bel Mer, Afleet Esprit, Se Sauver, Gabbidon, Vivacious Spirit, Iconic, Angels Beach, City of Song, Honey Flower, Loveyamadly, Audacious Spirit, Oregon Spirit, Strike the Tiger, Peach Tree, Beltrois, Ken Arok, etc. Royal Request (g. by Bel Esprit). 6 wins. See below. Rocket Girl (f. by Fastnet Rock). Placed at 3 in Aust. Iwannarock (g. by Rock of Gibraltar). Placed at 3, 3d SAJC Boag's Draught P.
Glitter Face. Winner at 1650m in 2014-15, Ipswich TC St Peter Claver College P., 2d Ipswich TC Channel 7 Ipswich Cup Race Day H., Manhire & Associates H.
Some Boy. 4 wins to 1300m to 2014-15 in Aust. First Class Ticket. 6 wins from 1200m to 1600m, A$200,265, to 2014-15, ATC Canterbury Park H., Warwick Farm H., 2d ATC Ibis Styles Draw H., Sepoys at Next Year's Sale H., Blackwoods New Catalogue H., 3d ATC Ardrossan Batlow Apples H., Schweppes H., Irresistible Pools & Spas H.
Hover. 2 wins at 2 in 2014-15, WRC Marky Mark 2YO Cup, Mills Reef Winery 2YO S.
Marfickle. 4 wins-1 at 2-to 1200m, A$111,350, STC Sunkist H., AJC Smeaton Grange H., STC Tuesdays' Slave Millinery H., 2d STC Choice Homes H., Wests Ashfield 2YO H., 3d STC New South Wales RSL 2YO H., Cadbury Roses H., Safilo Eyewear 2YO H. Producer. ZABARRA (Zabeel). 8 wins from 1100m to 1900m, A$463,700, AJC Bill Ritchie H., Gr.3-twice, STC Canterbury Cup, Gr.3, Newcastle JC Newmarket H., Gr.3, STC Cody Outdoor H., Southern Cross Series Final, AJC Divide & Rule H., STC Makinson & d'Apice Solicitors H., 2d STC Neville Sellwood S., L, BD 3YO H., 3d Gosford Gold Cup, Gr.3, AJC Sydney City Lexus P.H., STC Nivea Visage Girls Day Out H., Hawkesbury RC Rowley Mile, AJC Semaphore H., 4th Newcastle JC Cameron H., L.
Name in Vain (Godswalk). 2 wins-1 at 2-at 1200m, 1350m, STC Courtney's Brasserie H., Rockdale H., 2d AJC Noholme H., Arrowmaster Giftware H., STC Steyne Hotel 2YO H., 3d AJC Canonbury S., L.
Vaindarra's Way. 5 wins from 1500m to 1600m, A$86,028, AJC Gordon Richards Welter H., STC Strathfield H., Nureyev H., Punchbowl H., Strathfield Welter H., 2d AJC Talking H., Jack Bourke H., 3d AJC Rajah H., Tontonan Flying Welter H.
The Redeemer. Winner at 1200m, AJC Exchange H., 2d STC Springwood H., 3d STC 3YO H.
Raid and Rule. 12 wins-2 at 2-to 1500m, A$221,120, STC St Johns Park Bowling Club H., AJC Dubbo H., STC AAMI 2002 Golden Slipper Ball 2YO H., Cathay Pacific Airways Series H., 2d AJC Longines H., STC MTA P., 3d City Tatt's RC Rose of Tralee H., STC Young Members Raceday 2YO H., Sunday Telegraph H., AJC Blue Legend H., National Telecoms Cup H., STC St John's Park Bowling Club H.
Benny's Halo (Benicio). 3 wins-2 at 2-to 1200m, A$237,176, to 2014-15, WATC Westspeed 2YO P.-twice, 2d WATC Karrakatta P., Gr.2, Perth S., L, 4th WATC Sires' Produce S., Gr.3. VAINDARRA (Vain). 5 wins. See above. Purple Addition. 13 wins-2 at 2-from 1200m to 1600m, AJC Maltine H., Cabramatta H., STC Rockdale H., 2d AJC Electro H.
Mighty Tower. 6 wins to 1200m, A$98,345, AJC Denis Rowe H., RAAF H., STC Man o' War H., Citius Welter H. Sire. Race Record: 28 Starts 6-3-2 A$240,244. 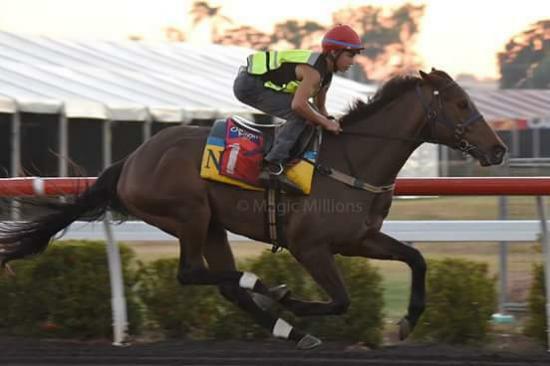 6 wins from 1100m to 2000m, A$240,244, to 2014-15, Darwin TC Northern Territory Derby, 2d Darwin TC Darwin Cup, Darwin Guineas.